Bar 301621 785285work Cafe-BarBar 3 is a family run establishment providing hot food (including but not limited to, panini’s, baguette’s, jacket potatoes, burgers & our signature 3 for 7 pounds small dishes deal) cocktails*, Live music & sport, free wifi, private parties and corporate events (please call to book) in our newly refurbished modern bar; located in Burnham-on-Crouch, Essex. Beer Garden to the rear. Serving Heineken, Amstel, Fosters, Guinness, Birra Moretti, Cloudy Apple, Smirnoff, Jack Daniels & much more. *Cocktails also include a variety of beer, wine spirits & soft drinks too! 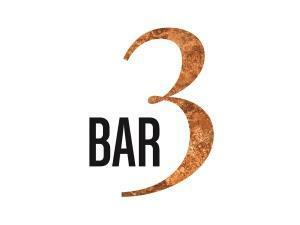 Bar 3 is a family run establishment providing hot food (including but not limited to, panini’s, baguette’s, jacket potatoes, burgers & our signature 3 for 7 pounds small dishes deal) cocktails*, Live music & sport, free wifi, private parties and corporate events (please call to book) in our newly refurbished modern bar; located in Burnham-on-Crouch, Essex. Open- Tues-Sat: 12-11pm, Sun: 12-10.30pm.